For driver inclined to use voice control, BMW 640i takes dictation for quick sending of messages. 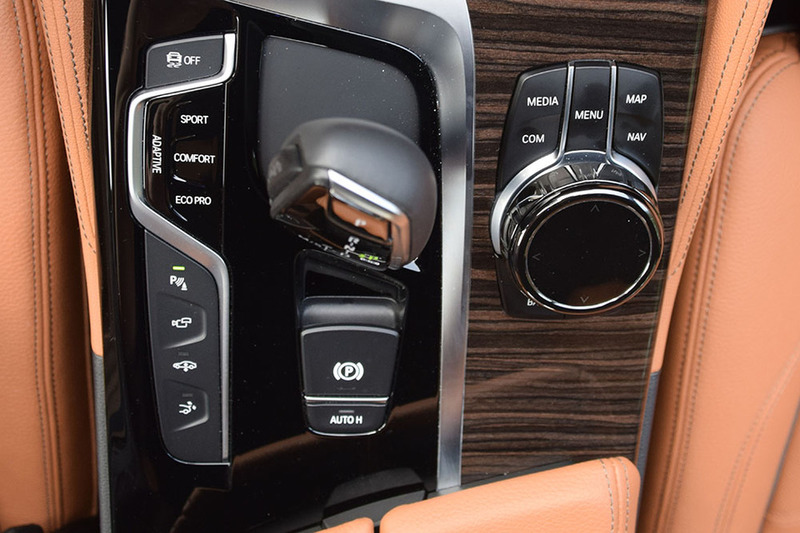 It’s worth noting the interface in this year’s winning 640i represents the sixth generation of iDrive, and the seventh generation will arrive in showrooms soon in the all-new X5 sport/activity vehicle. Count on even more improvements. The BMW 640i Gran Turismo does many things well. It delivers stellar driving dynamics, enhanced by rear-wheel steering and one of the best engines on the planet. The interior, bathed in Cognac Dakota leather, is stylish, soothing and luxurious, befitting its $84,010 pricetag. But let’s not lose sight of the many attributes that make this four-door coupe assembled in Dingolfing, Germany, a remarkable user experience deserving of a 2018 Wards 10 Best UX trophy. Fast smartphone pairing, traffic and weather information and wireless phone charging are but a few of the standouts. The 640i embodies outstanding functionality with its impeccable audio, easy-to-manage systems, an almost hologram-like head-up display and driver-assistance systems that are spot-on, providing steady steering correction, smooth and assured braking and precise stop-and-go adaptive cruise control. It may have been a coincidence, but at one point we thought the system even engaged the stop/start re-ignition sequence to ready the car to roll as the preceding vehicle pulled away from a stop. BMW is the first to offer wireless connectivity for Apple CarPlay, which is a big deal in the UX tech community and to some Apple owners, but also controversial because BMW charges a subscription fee for using it. Gesture control, still in its infancy and pioneered by BMW in automotive applications, is just plain cool. For the driver inclined to use voice control, the 640i takes dictation if the driver needs to send a message. Many vehicles allow the driver to send preset messages (e.g. “I'm running late,” “OK,” “LOL”), but BMW’s system is more advanced. Having a dependable voice control system like that in the 640i allows the driver to keep focus on the road and thumbs off the smartphone. And then there’s iDrive. The German automaker introduced the idea of a single-knob controller 17 years ago, and now it’s so intuitive to operate that we prefer it over many other systems in the marketplace. The first versions of iDrive left some users flustered, but iterative engineering has so refined the interface that the BMW brand experience now depends on it. This is the third year for the Wards 10 Best UX competition, and BMW is the only luxury brand to have made the cut all three years: In 2016, the 7-Series flagship sedan cracked the inaugural list, and last year the 540i sedan was honored. Next year, the X5 will be in the competition and will be vying to make it four in a row for BMW. BMW iDrive controller positioned along right side of center console in 640i.